DuraScrim Rain Coats are durable and lightweight. 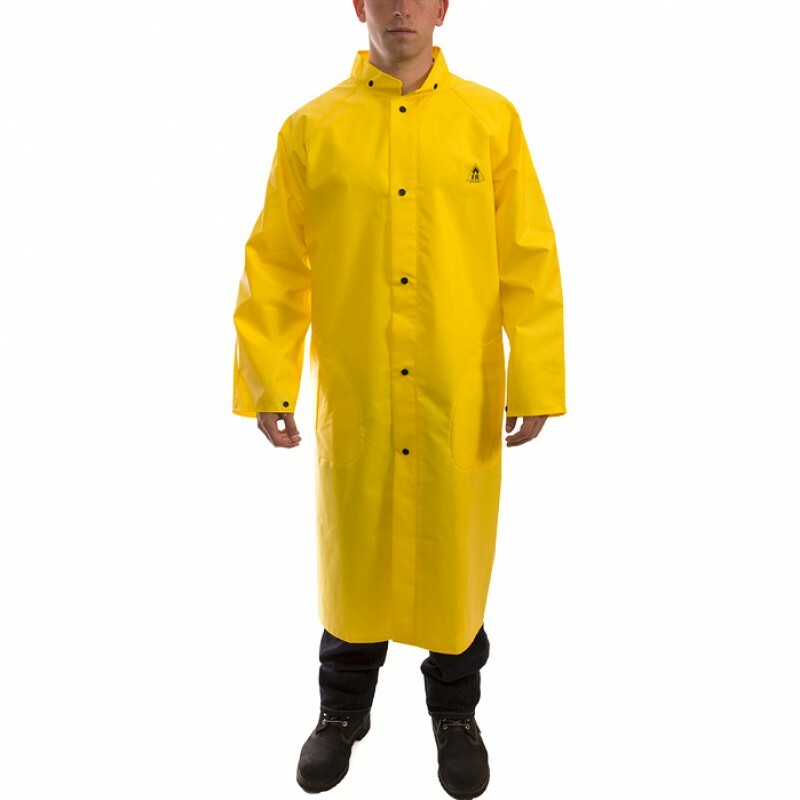 Constructed with two layers of flame resistant PVC coating for additional protection. Thicker outside coating offers excellent abrasion resistance. Lighter interior coating protects fabric from chemical contamination. 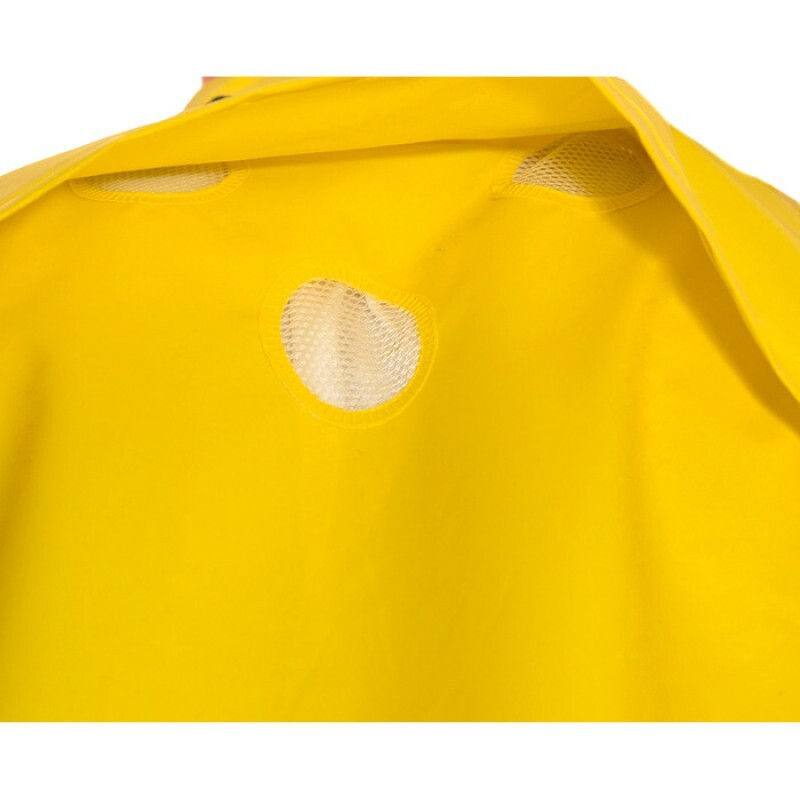 Therm-O-Rad sealed seam construction is great for chemical splash protection. 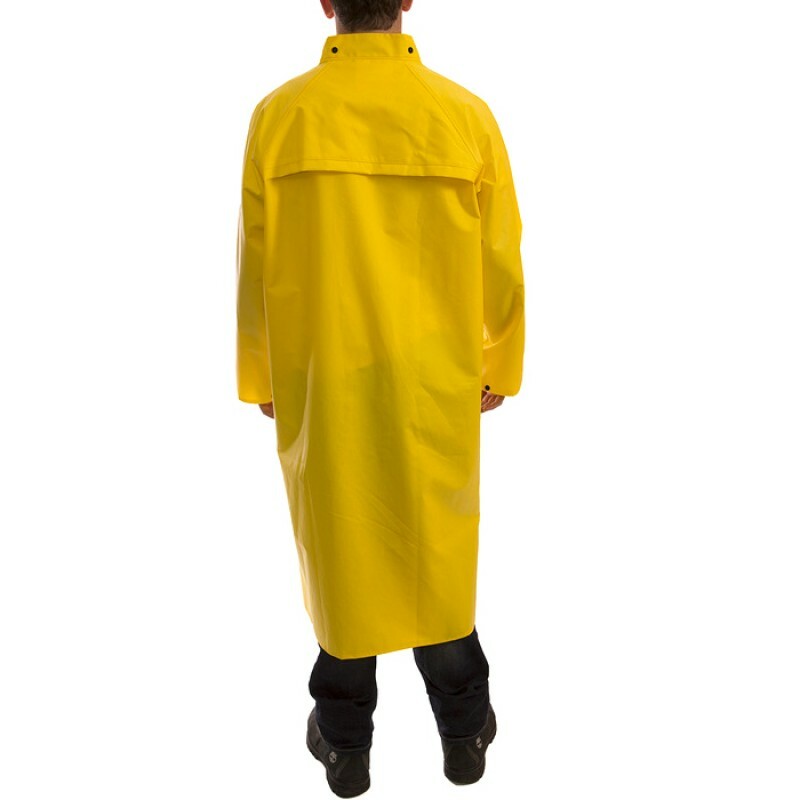 Mildew resistant, flame resistant*, and chemical resistant. Chemical Resistance - Many acids, oils, alcohols, salts, and alkalies. *Flame Resistant. Self extinguishing with flameout and afterglow less than 2 seconds after removal of ignition source. (Test Method ASTM D6413).